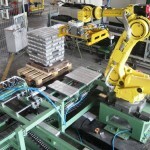 Nowadays, the use of modern anthropomorfic robot in the field of integrated automation allows cutting down on work time considerably and, consequently, increasing company productivity. 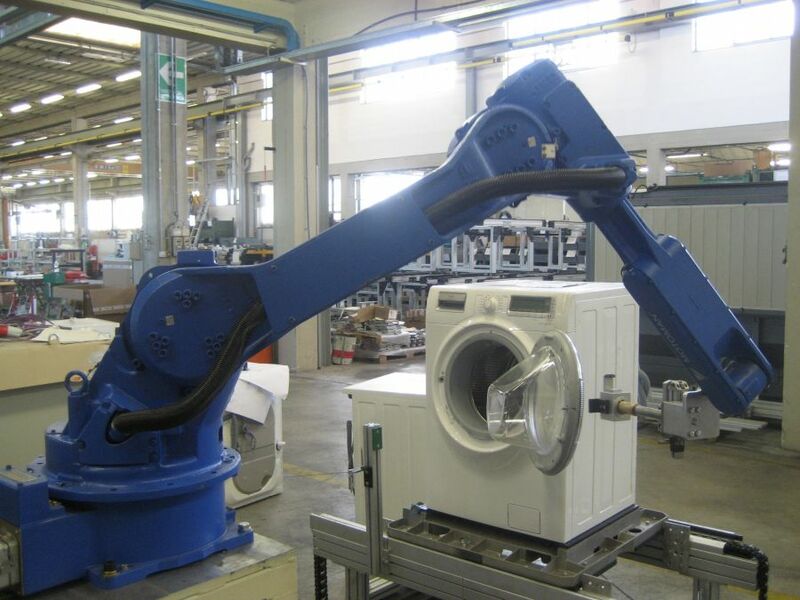 Anthropomorfic Robot. 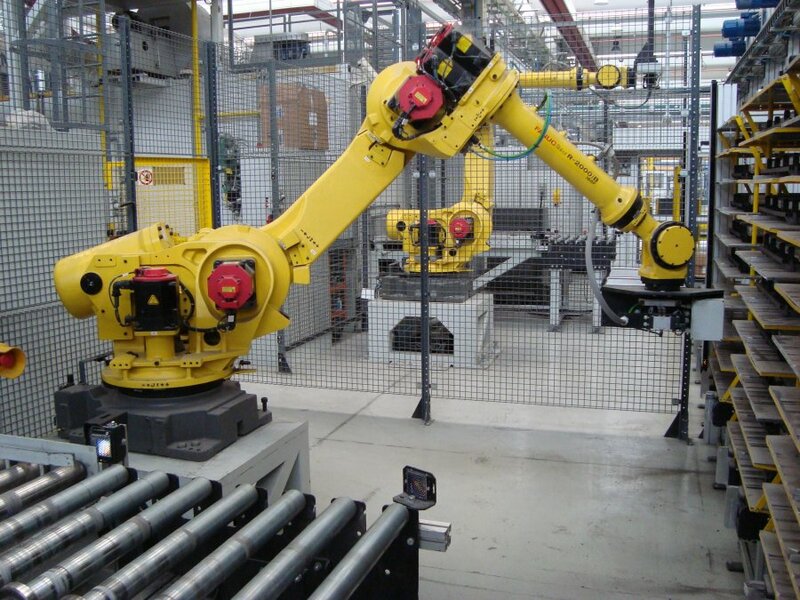 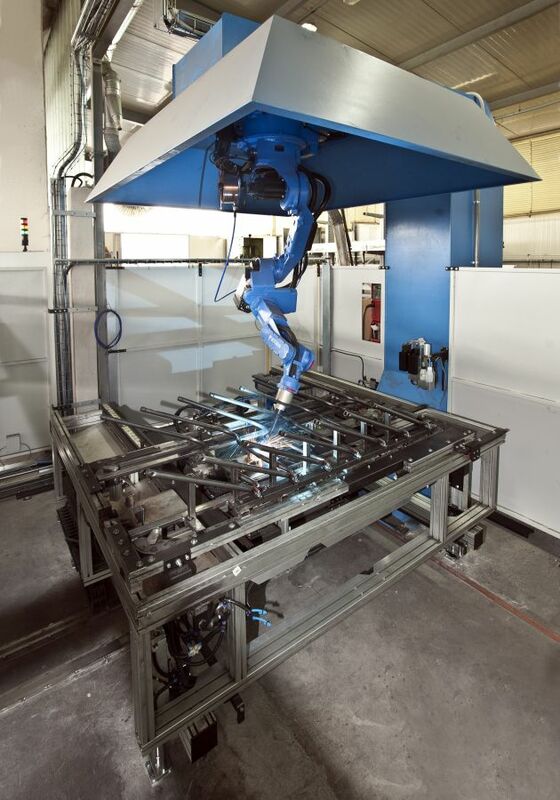 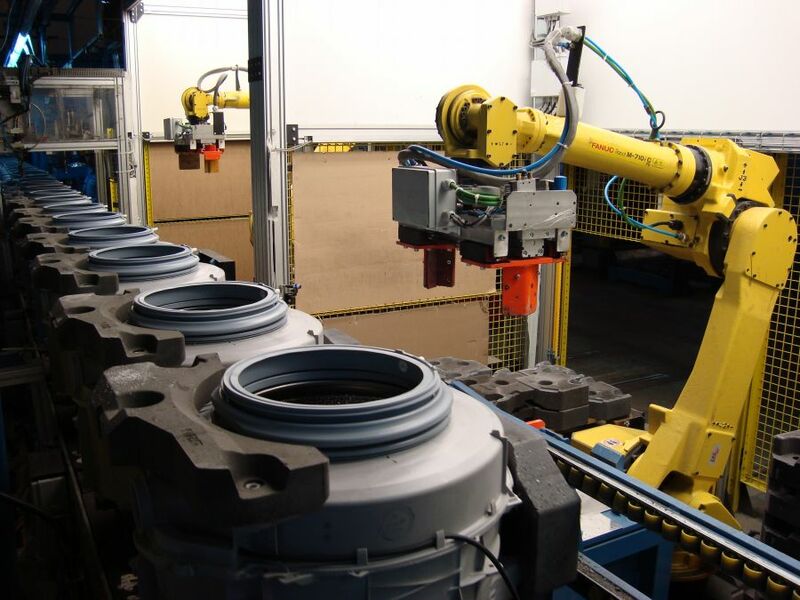 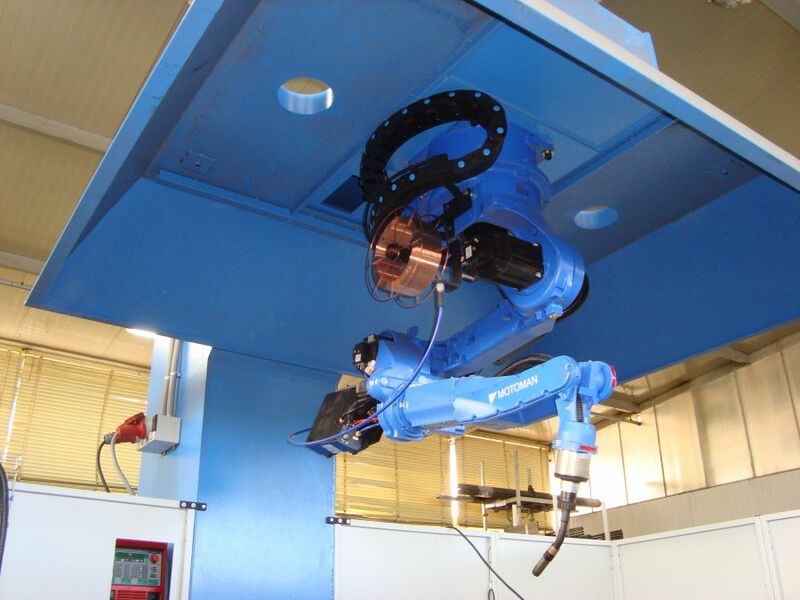 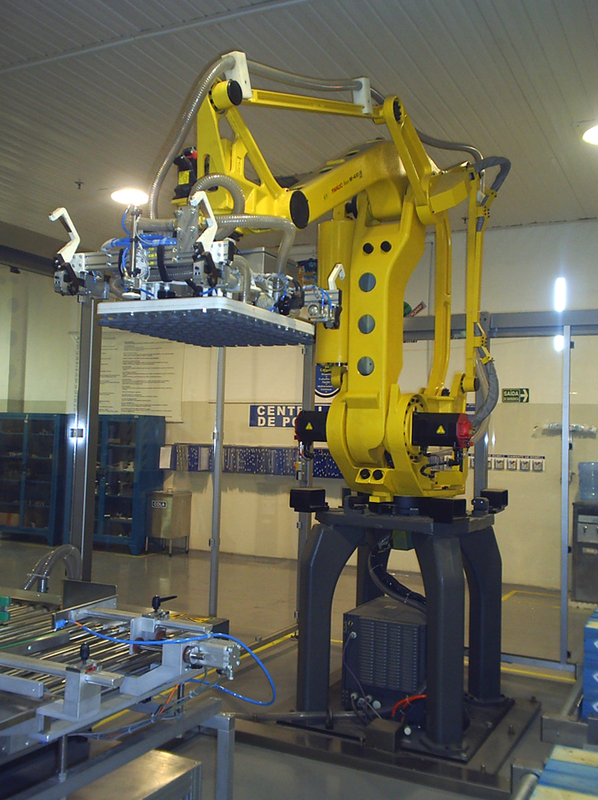 CASSIOLI robotic work areas also greatly improve product quality, thanks to the renowned repeatability features of anthropomorphic operations. 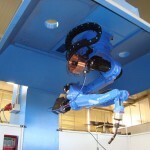 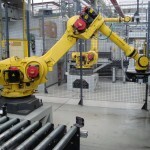 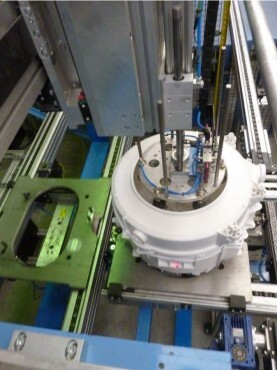 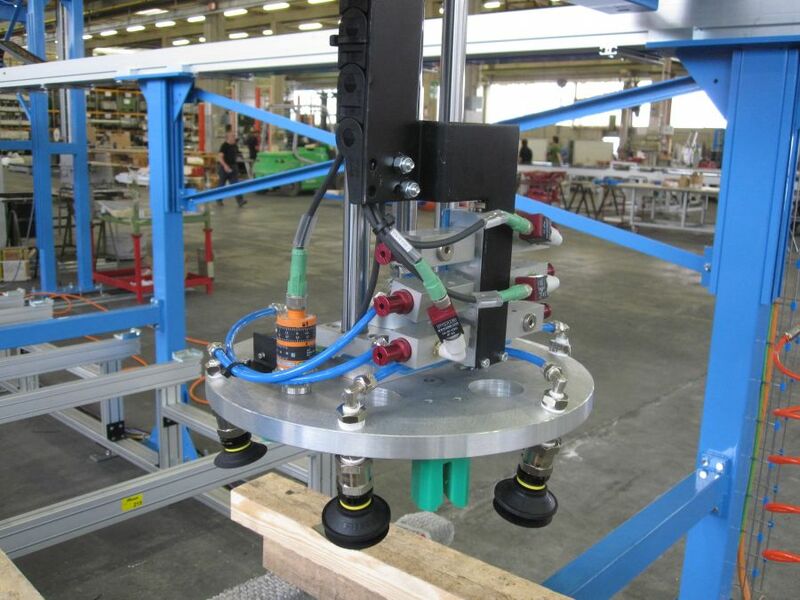 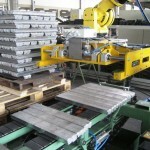 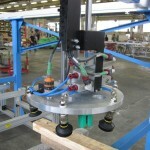 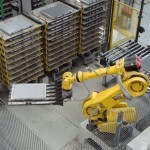 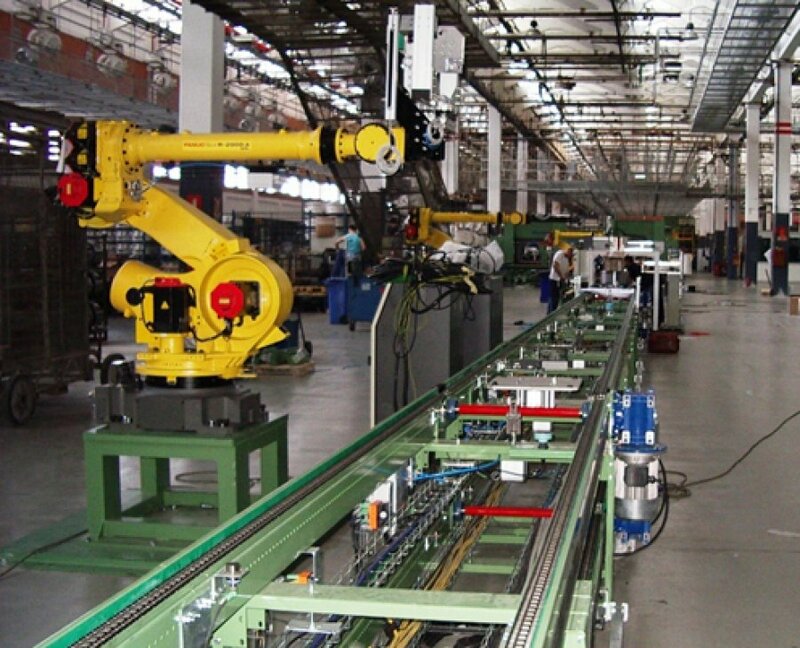 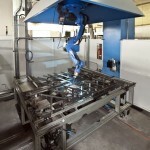 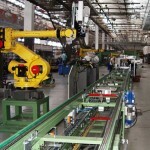 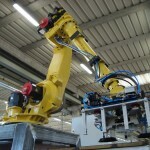 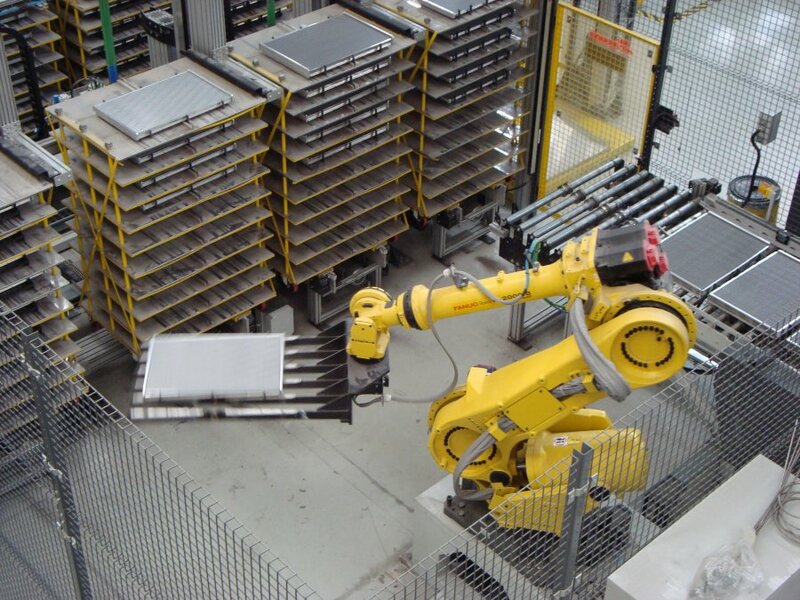 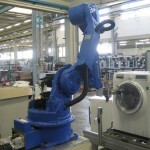 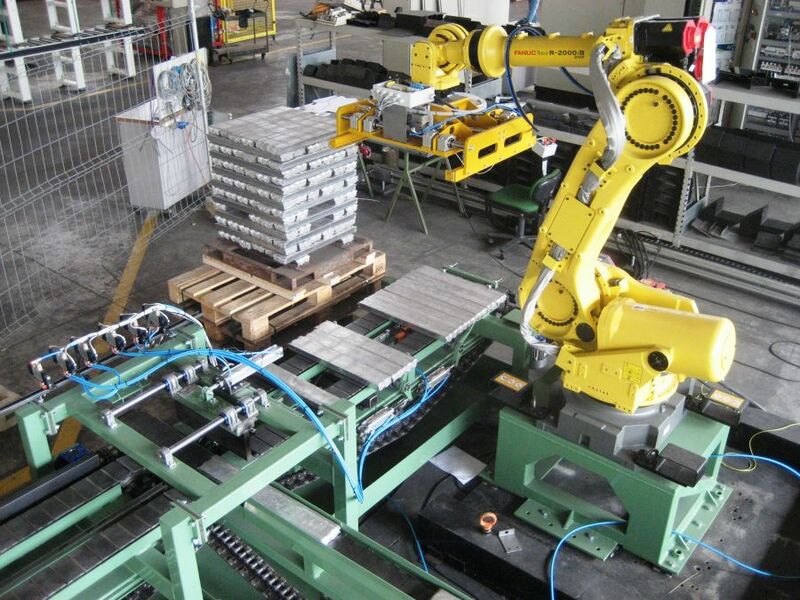 Anthropomorphic robots area are versatile, easy to install and reusable, all advantages that allow for highly flexible automation: the numerous arms and respective couplings can cover work areas that cannot be reached by other kinds of machines, and the compact robotic structure allows for high-level precision (up to 0.1 mm) even at high speed. 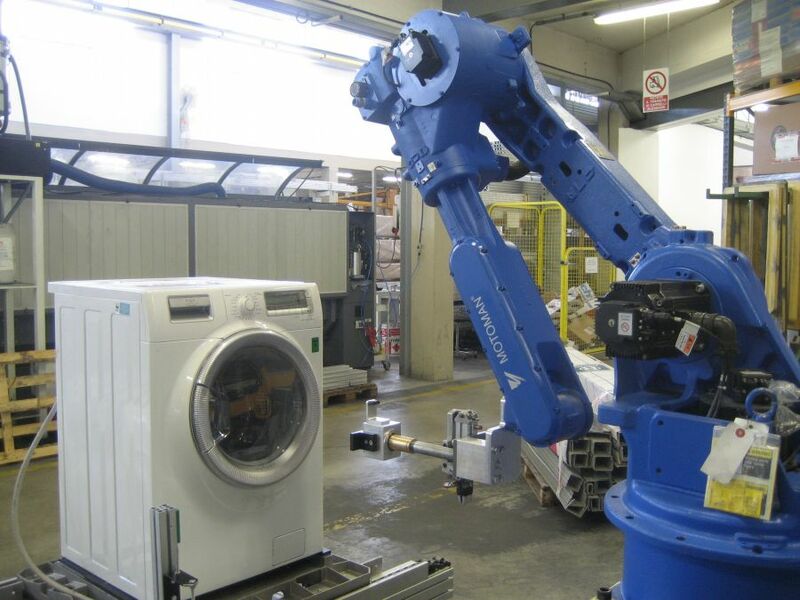 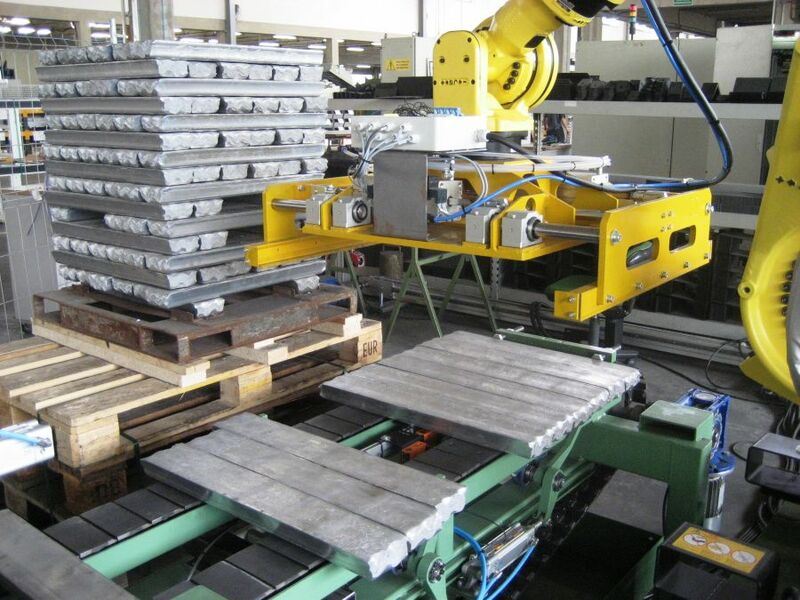 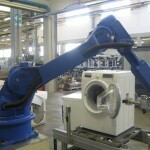 CASSIOLI robots can also work in so-called “hostile” environments, keeping operators from having to carry out hazardous or burdensome tasks and improving safety standards. 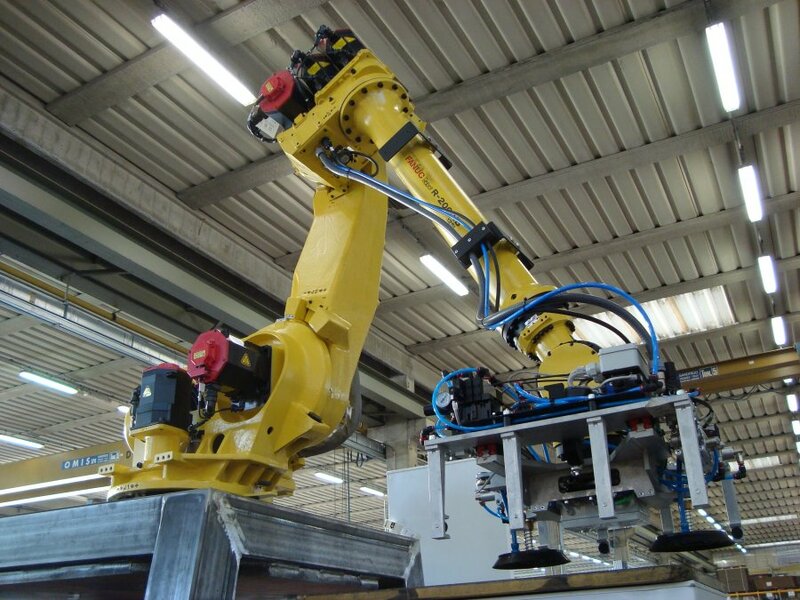 Handling, based on complex kinematic algorithms, is supervised by a central electronic control system, usually very study to allow for use in harsh industrial environments. 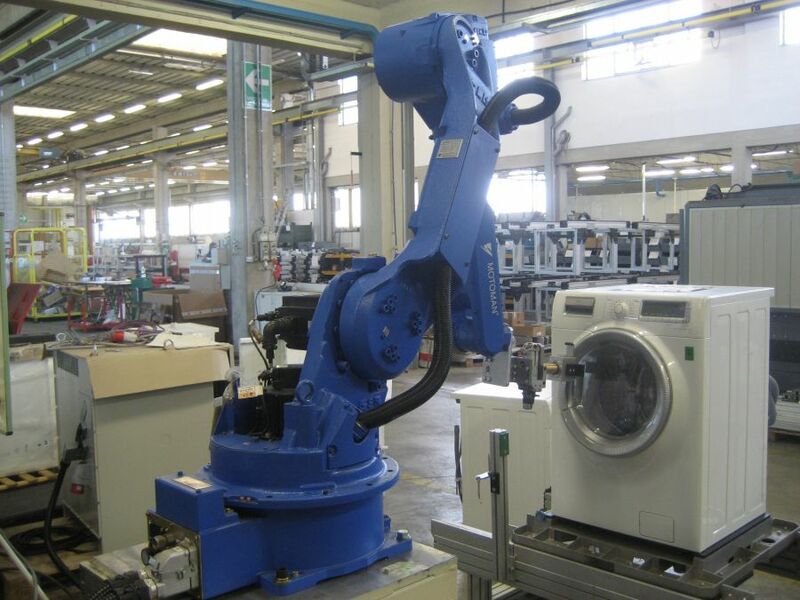 The robot’s automatic mechanisms are managed by a structured programming language that governs the entire automatic cycle, stores production data and modifies machine parameters (errors, start-up, stop, parameter calibration, etc.). 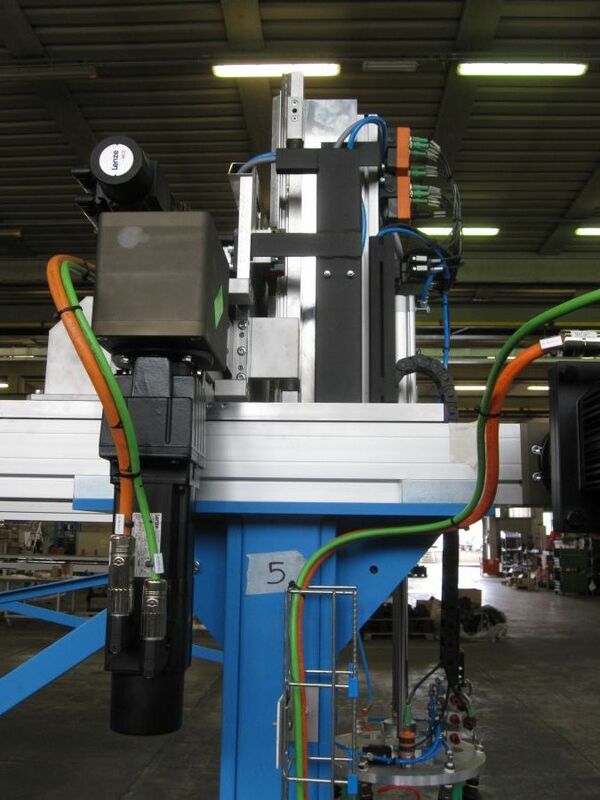 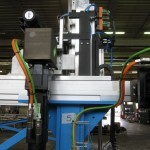 CASSIOLI designs and manufactures any kind of holding, hooking and processing device based on specific customer needs (both in the downloader and in the uploader versions). 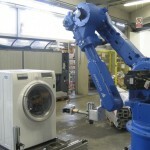 Anthropomorphic robots guided by artificial viewing systems can carry out complex tasks and subsequently verify the work carried out.